First, we'll tackle the sauce. Being Italian, jarred sauces were never used in my house (neither were actual recipes for that matter). 1. In a large pot, lightly cover the bottom with vegetable oil. This should be a very thin layer. 2. Add oregano (to cover the bottom of the pot), basil (a couple of light shakes), one shake of onion, black pepper, red pepper, and the garlic powder (if you're using the garlic in a jar, use one tablespoonful). 4. Add the can of puree (do not throw the can away, as you will use it later.) and the can of paste. 5. Fill the can of puree with water (only to the half-way point) and add that to the pot. 6. Stir until there are no lumps of paste. 7. Let simmer for 2-3 hours. 1. In a large mixing bowl, combine ricotta, egg, and bread crumbs (only a light dusting). 1. Brown the chopped meat and sausage. Add to sauce and let cook for at least an hour. 2. In a large pot, boil water. 3. Add a small amount of vegetable oil (or EVOO), so the noodles do not stick together. 4. Once the water is boiling, add the noodles. Cook until they are slightly soft. (You don't want to cook them too long because we will be putting them in the oven. 5. 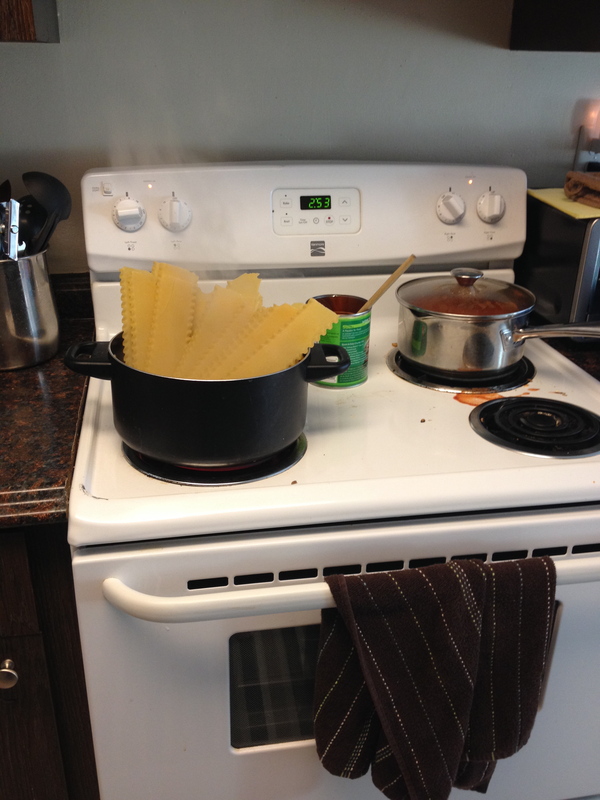 Drain noodles and return them to the pot, which you will fill with cold water to cool off the noodles. 6. While the noodles are cooling, use a spoon with holes in it to take the chopped meat and sausage out of the s auce. 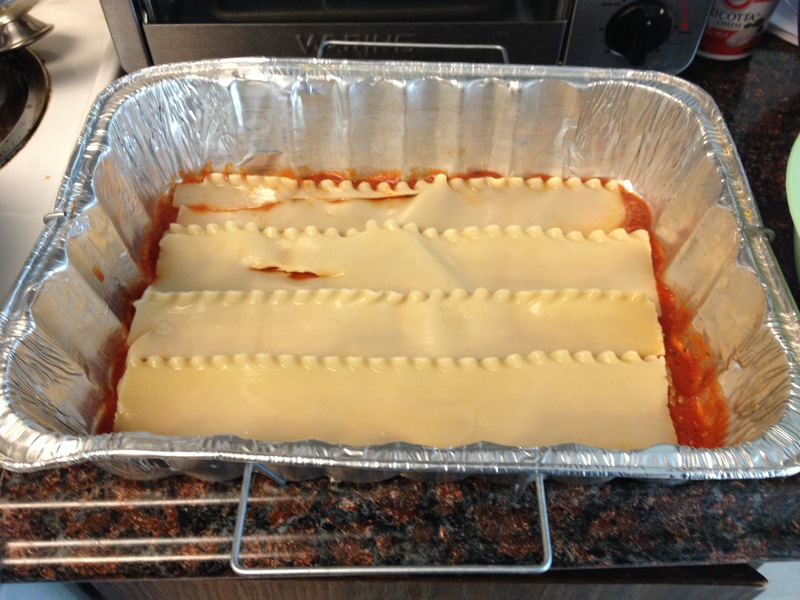 a thin layer of ricotta cheese and sauce. Spread the cheese the same way you would frosting on a cake. 11. Add a layer of noodles. 12. Cover noodles with a layer of meat. 13. Add a layer of noodles. 14. Cover noodles with a layer of cheese mixture and sauce. 16. Add a layer of both cheese and meat. 17. Final layer of noodles! 18. Cover the noodles with a last layer of ricotta and sauce. 19. Add entire bag of shredded mozzarella. 20. Sprinkle parmesan cheese, oregano, and basil on top. 21. Cook on 350 degrees for an hour or until cheese is completely melted. Oh my, it looks so delicious! !